We’ve had a fantastic turnout here at the Monday night session at UWA for the last few weeks now with loads of new faces (both with the models and the drawers) which has been some great fun. As this coming Monday (the 30th) is a holiday, there will be no session that night. We’ll be back the following week (October 7th) with Victoria as our model for the evening. Sebastián will also be running that session for me that night as I am anticipating being far too knackered after running the 24 Hour Comic challenge to run it myself. 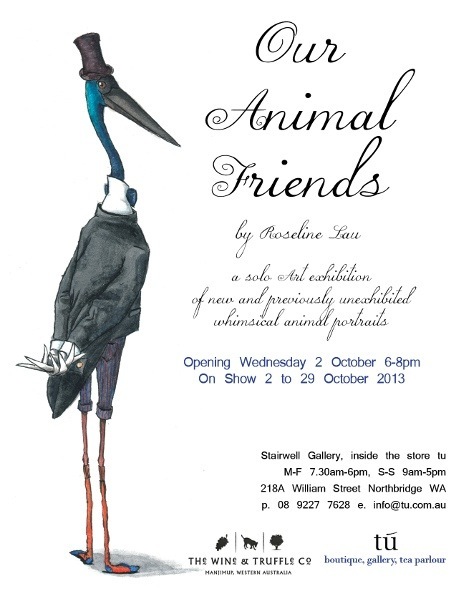 Next up, one of our regulars, Rosey, is having her first solo show of her work and it opens next Wednesday (the 2nd). I’ve attached the flyer with all of the details, so now no one has a reason not to head out on a Wednesday night (well, unless you happen to have a two year old like me, in which case you can head out during the day). I’m going to give everyone another quick reminder about the 24 Hour Comics Day challenge that takes place October 5-6. If you want in just head over to 24hcdperth.com and fill out the online form. And last but not least, our group art show. I’ve been asked by quite a few people as to if we’ll be having one again, so I finally looked in to the gallery’s availability. If we wanted to have it before Xmas, then the only time available would be between December 18th-23rd. Essentially just the weekend before Xmas. If we were to do it, I’d say we set up Dec 19-20, have an open night on the 20th, stay open over the weekend, then take things down the evening of the 22nd (Sunday) and the 23rd. The same rules as last time would apply: can be life drawing work only, and is limited only to people who have come out this year to a session (though the drawings put up do not have to actually be from one of our sessions, they can be from another group). I’d love to hear some feedback from people to know what they think. Categories: info, UWA, Victoria | Permalink.